We know that the 2018 Mazda6 will finally come with some turbo power, but sadly the bigger motor will be only paired with an automatic transmission. However! It seems that the Mazda6 may be adding an all-wheel drive variant as well, and we seem to have America’s auto safety regulator to thank for that information. It would seem that both the FWD and AWD versions of the Mazda6 will be pretty safe cars, in addition to being one of the more engaging mainstream mid-size sedans on the segment. Of course, this development is not all that surprising. When our Kristen Lee spoke with Masashi Otsuka Mazda’s Vice President of R&D and Design, he was very clear that AWD is a direction they wanted to go down eventually. Otsuka said, “The company is very much behind AWD... It’s on our radar. We are listening.” Perhaps he was being coy and Mazda was further along the development stage then he wanted to let on. 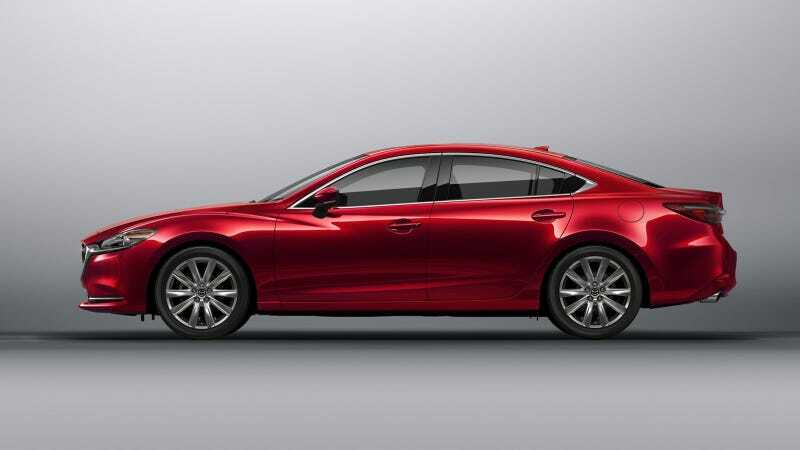 Naturally, an AWD version of the Mazda6 makes perfect sense. Mazda has been attempting to push the brand “upmarket” to appeal to folks who want something with quality and style but at a lower price point than a luxury car. Furthermore, buyers in states that get hit with bad winter weather love to buy AWD vehicles (even though they should probably just buy winter tires). But the possible decision to offer an AWD variant goes beyond just marketing to folks who worry about driving in the snow. Now that the Mazda6 will use the turbocharged 2.5-liter motor with 250 hp and 310 lb-ft of torque, sending all that power to the front wheels, while fun, would alter the handling balance that makes the Mazda6 a cut above the rest of the field. An all-wheel-drive Mazda6 with a turbo is just a good idea. We reached out to Mazda USA for comment and we will update this post if they respond.